Property value in Portland, Oregon has been on a tremendous climb over the past few years. It’s a seller’s market, as new homes are sold for well over asking price as soon as they hit the market, and older homes in disrepair are rehabbed and sold for record returns. Recently CREO Properties of Portland took advantage of this opportunity. 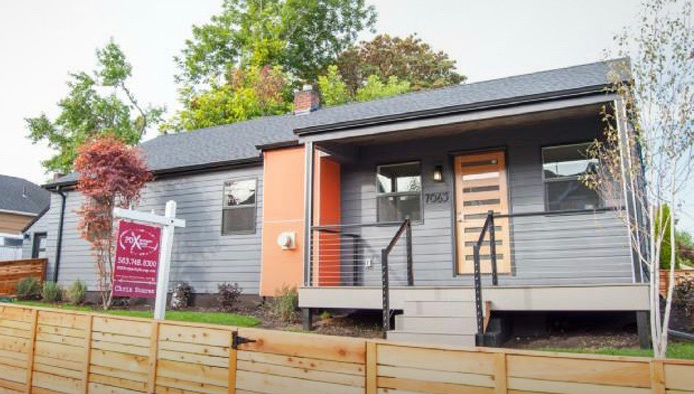 They identified a home in a promising area of the city and, utilizing a construction loan from Iron Bridge, bought the home, made some much-needed modernizations and updates, and sold it in less than 6 months, earning a cash-on-cash return of over 100%. This project was a classic rehab. 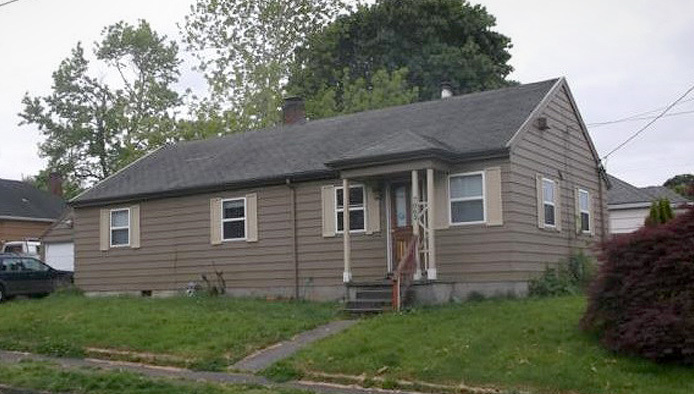 Our borrower found a neglected single-family residential property located within an up-and-coming, inner eastside neighborhood of Portland. The house was structurally sound, but in desperate need of cosmetic updates and improved curb appeal. Our borrower utilized a $70,000 construction loan from Iron Bridge to make the improvements, including a new kitchen with modern quartz countertops and stainless steel appliances; new bathrooms with modern vanity, toilet, and an attractive tile surround on the shower; new hardwood floors, windows, and a modern garage door. The biggest challenge was finding a way to improve the curb appeal to give the house a more modern and desirable look. A decision was made to build a porch, add a modern style front door with matching front yard fence, replace the garage door with a more modern design and to use a gray exterior paint with an orange accent. With a more modern design to compliment the gray exterior paint and orange accent. CREO Properties put $50,000 down and paid $20,000 in interest expense, totalling approximately $70,000 out of pocket. Net proceeds from the sale after discounting realtor commissions and closings costs was approximately $79,200, or a little over 100% return on investment in less than six months. Completed rehab in just over 3 months. Property went pending in 6 days and closed in 35 days. As a preferred private money lender, Iron Bridge is proud to put our extensive industry expertise and outstanding reputation to work for our borrowers and investors alike, to help them achieves their goals.